Coffee is the undisputed king of beverages. Not only is it the most consumed beverage in the world, it is one of the most functional vehicles for much-loved caffeine. But in recent years, coffee has become more than just a morning beverage. More people are considering taste and quality as an important factor when it comes to purchasing decisions. This has led to an increase in education related to the nuances of coffee and an expanding specialty coffee industry. STöK Cold Brew Coffee is one of the leaders in the ever-growing cold brew coffee category, and with the help of experiential agency A Little Bird, took their product directly to consumers to showcase what made their product worth choosing, as well as the differences between cold brew and iced coffee (there are a lot!). 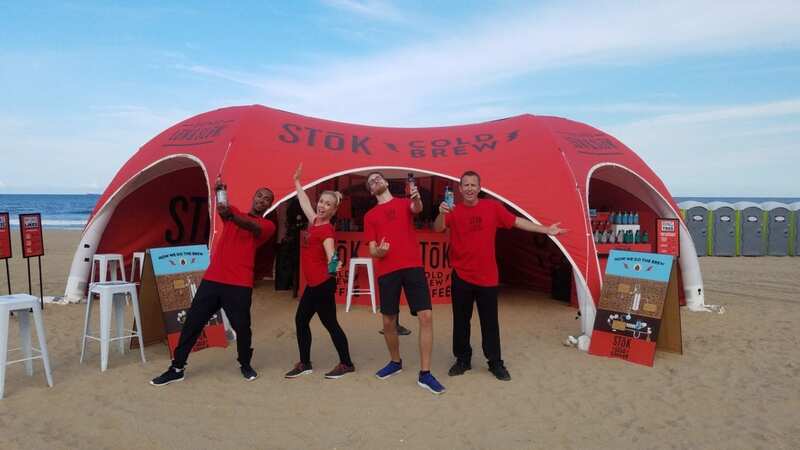 And to help STöK spread the word across the US, Elevate Staffing met the challenge to find the best local brand ambassadors for each stop of the STöK tour. Not only did Elevate find engaging local brand ambassadors that both won-over and educated consumers, our staff were coffee-lovers who were excited about their jobs. They encouraged people to play STöK activation games to win swag and take part in a fun photo opportunity. Elevate matches companies with brand ambassador teams that are passionate about their brands and can build meaningful relationships with consumers. Contact us to discuss your next event.